The Carmelo circus continues. According to reports, the Houston Rockets will trade Carmelo Anthony to the Chicago Bulls, who will then waive Anthony so he can sign with another team. The Bulls will receive cash compensation in the trade, while the Rockets will save $2.6 million in luxury tax fees. Now the question is where will Anthony end up? There’s some talk he’ll go to the Lakers to be with his buddy, LeBron. Golden State Warriors guard, Klay Thompson, set an NBA record Monday night hitting 10 straight 3-pointers to start the game. Thompson was on fire all night, finishing with 44 points and helping the Warriors cruise to a 130-111 victory over the LA Lakers. The Houston Rockets James Harden continues to impress. 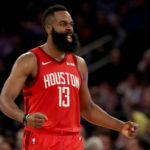 In yet another night of scoring at least 30 points (his 20th consecutive), he answered questions about being in the same conversation as NBA great, Wilt Chamberlain (who is the only other player to have 30 plus points in 20 consecutive games), and said, it’s a “credit to the work that I put in”. 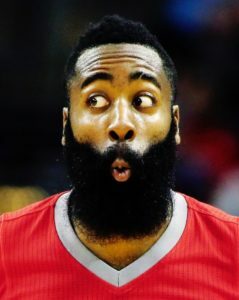 Even with Harden’s impressive stats, the Rockets lost to the Philadelphia 76ers, 121-93. Here are a few stories from the first round of the NBA Playoffs. For more highlights, click here. For the first time since 2012, LeBron James lost a first-round playoff game. The Indiana Pacers cruised to victory and upset LeBron’s streak of 21 straight 1st round wins. Pacers 98, Cavs 80. The New Orleans Pelicans also had a meaningful first in their 97-95 victory over the Portland Trailblazers. The win marked the first time since 2011 the Pelicans won in the postseason, and it was the first playoff victory for their star Anthony Davis. In other Pelicans news, DeMarcus Cousins is rehabbing an Achilles injury, and according to coach Alvin Gentry, he didn’t accompany the team to the playoff game because he wasn’t cleared for travel. 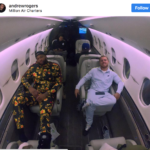 His manager, however, posted a photo of the two of them traveling on a private plane to Coachella. Not exactly the smartest PR move. And, in one more piece of Pelicans news, Guard Jordan Crawford appears to be near signing a deal with Big Baller Brand. 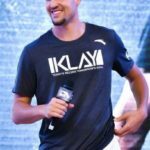 He will be the first player (other than Lonzo Ball) to wear the merchandise and potentially represent the brand. 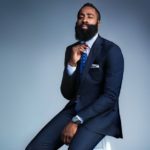 The Houston Rockets looked solid in game 1 with James Harden scoring 44 points to help the team outlast the Minnesota Timberwolves 104-101.